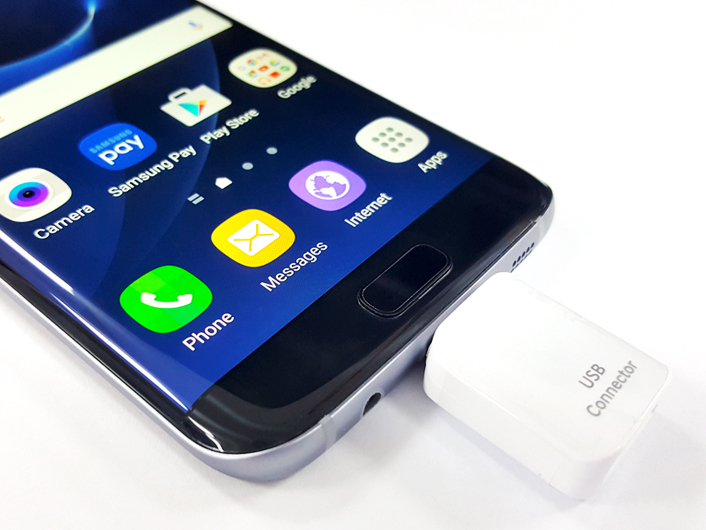 A latest addition to the ever-expanding range of Samsung Galaxy accessories, the On-The-Go Adapter (USB Connector) is an in-box item for both the Galaxy S7 and S7 edge. At first glance, it may look like a typical USB connector – but in fact it is allows you to do much more than ever before. The first thing most people do after buying a new smartphone is transfer important data – such as contacts, music files, videos, pictures and more – to their new phone from their old devices. 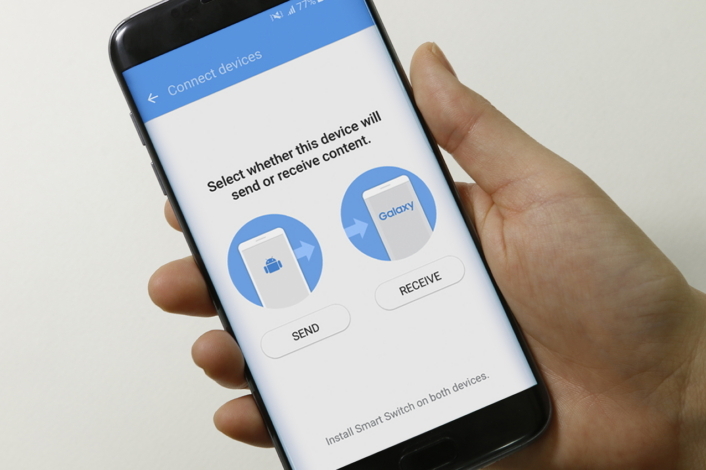 But while this process traditionally involves downloading data to a computer and then uploading it to your new smartphone, you can use the On-The-Go Adapter and the Galaxy S7 and S7 edge’s Smart Switch app to transfer data directly. 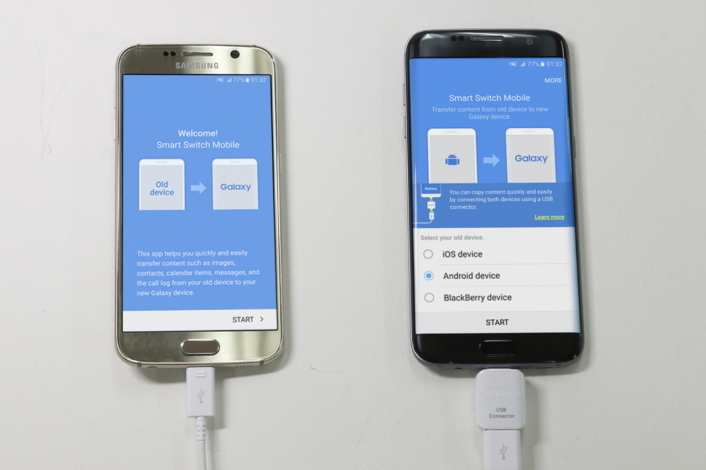 Smart Switch allows you to conduct mobile-to-mobile file transfers from iOS, Android, Blackberry and other operating systems, for easy data transfers to your Galaxy devices. Simply connect the two smartphones together using the On-The-Go Adapter, and a new window will appear on the devices, allowing you to select the files you wish to send and receive. It’s a simple process, and there is no additional software to download or install. You can enjoy more productivity options by connecting your smartphone with a keyboard. 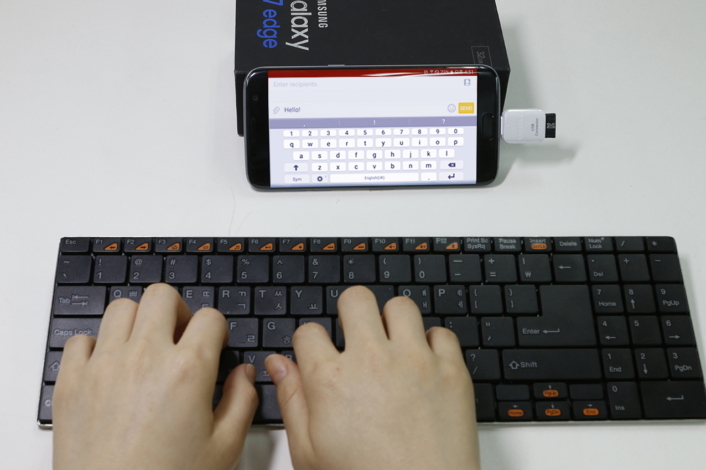 The On-The-Go Adapter lets you connect your Galaxy S7 to a keyboard for a PC-like typing experience. If you are using a wired keyboard, you can simply connect your smartphone to the keyboard with the USB Connector. If your keyboard is wireless, simply connect the keyboard’s receiver with the On-The-Go Adapter and smartphone will automatically recognize the keyboard. The On-The-Go Adapter also lets you read and share PowerPoint, Excel, PDF and other document formats from USB flash drives in the same way as you would with a PC. 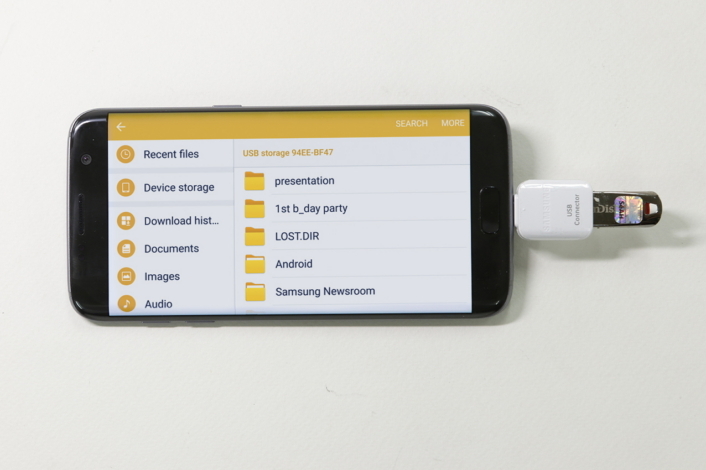 Simply connect the flash drive to your phone with the On-The-Go Adapter and it is ready to use. Running low on battery? 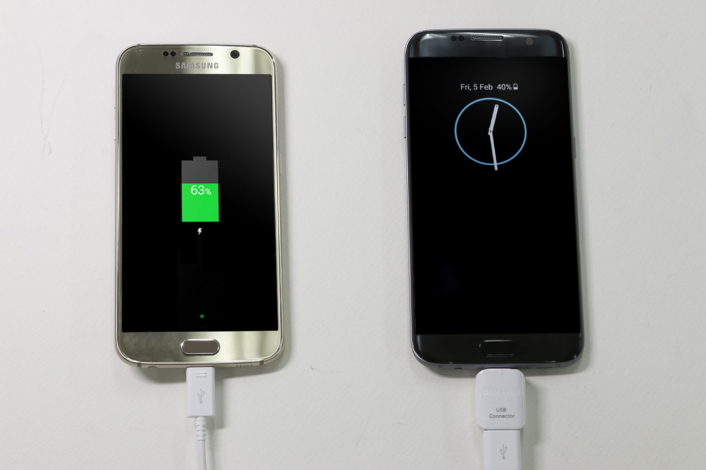 The On-The-Go Adapter also allows you to charge your Galaxy S7 or S7 edge using battery power from another phone – ideal when you are out and about, or when power outlets are hard to come by.